http://fineartamerica.com/featured/a-spring-morning-at-bag-end-dale-jackson.html Painting. Oil on Canvas. Inspired by Lord of the Rings and The Hobbit. Hobbiton of the Shire in the morning golden sunlight. Brilliant, green-gold grasses and awakening flowers bathe Bilbo Baggins home of Bag End and Bag Shot Row in this idyllic Spring scene. 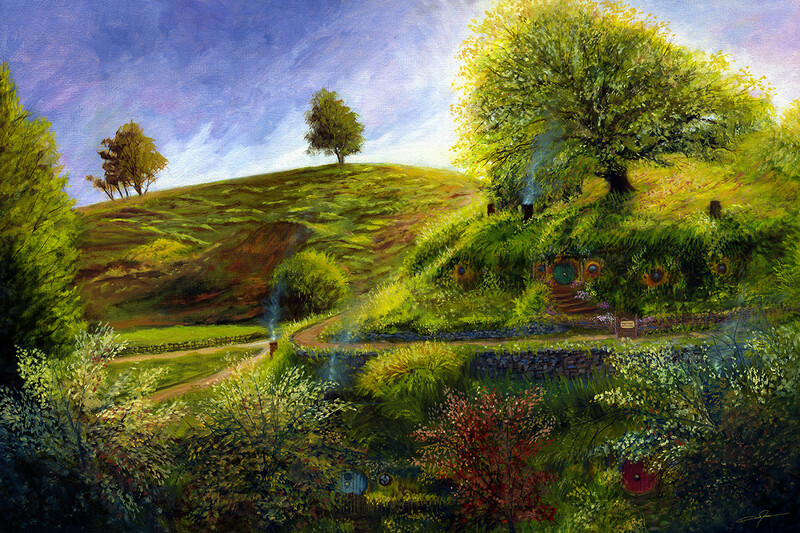 Prints now available: http://fineartamerica.com/featured/a-spring-morning-at-bag-end-dale-jackson.html Painting. Oil on Canvas. Inspired by Lord of the Rings and The Hobbit. Hobbiton of the Shire in the morning golden sunlight. Brilliant, green-gold grasses and awakening flowers bathe Bilbo Baggins home of Bag End and Bag Shot Row in this idyllic Spring scene.